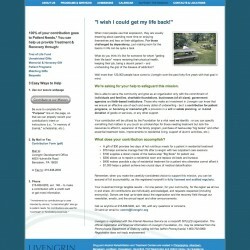 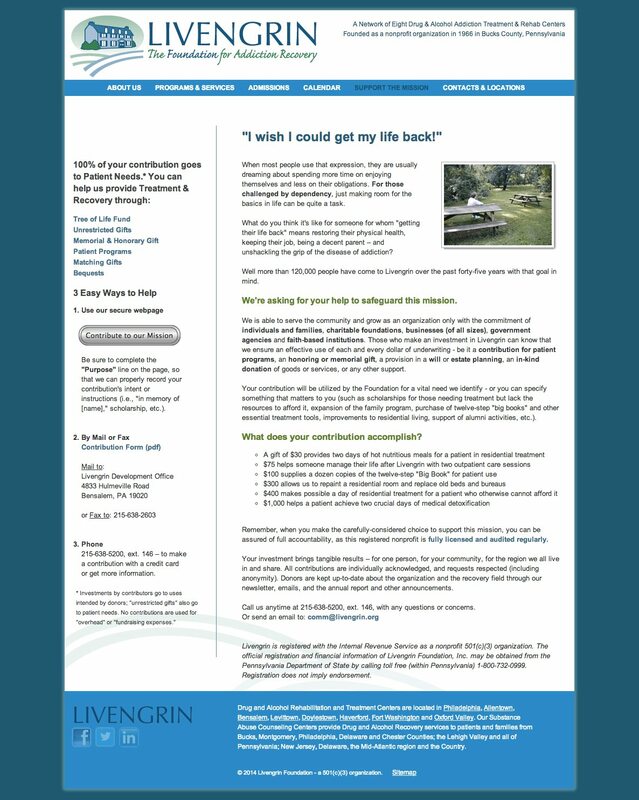 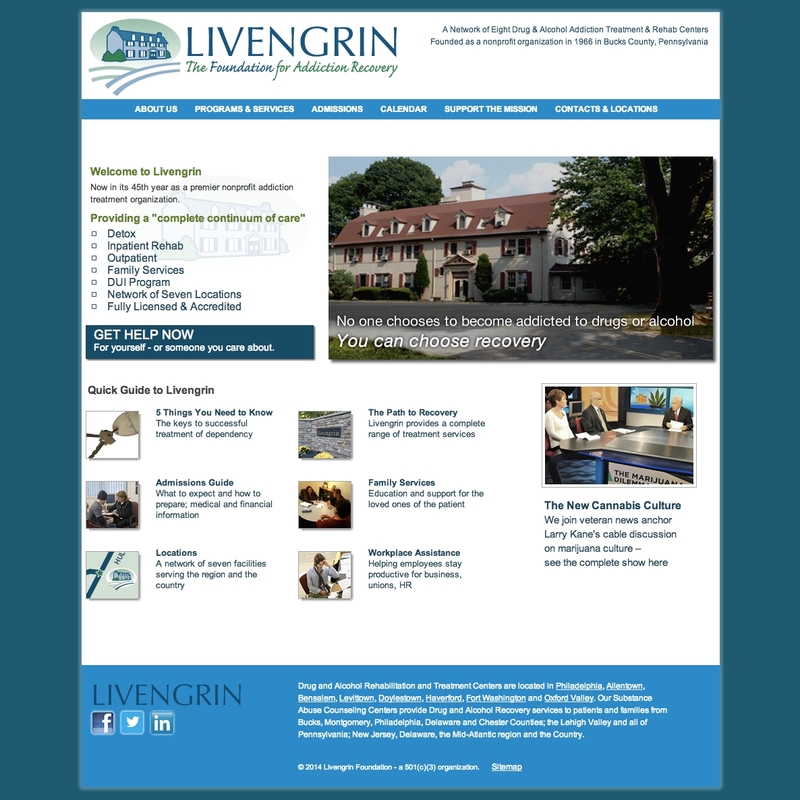 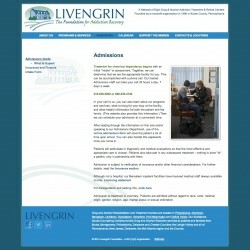 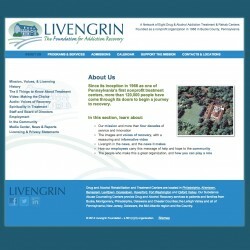 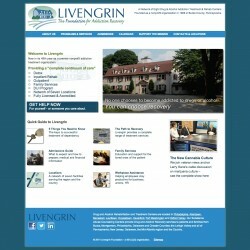 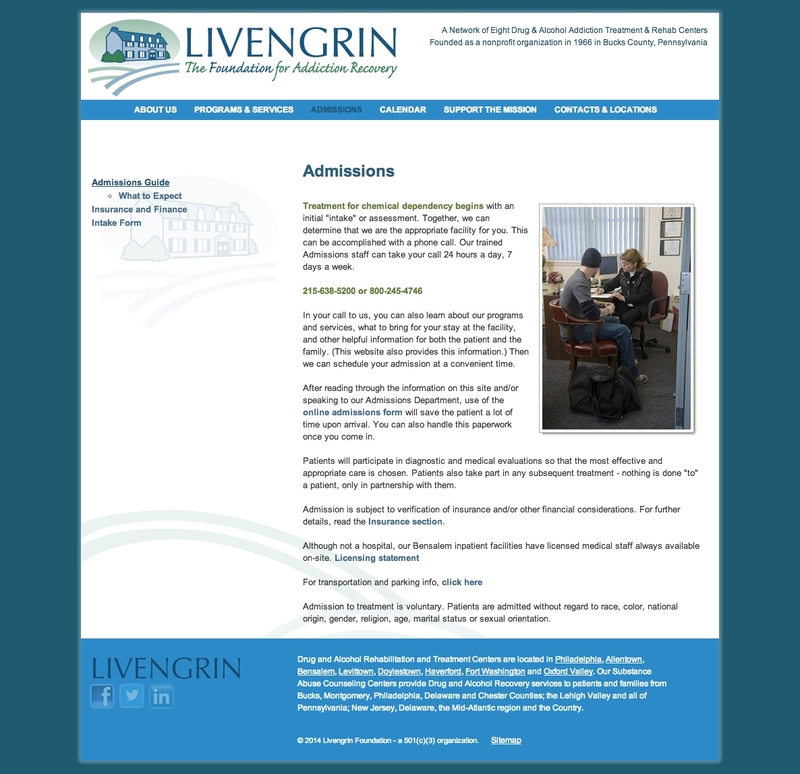 As a webmaster for Livengrin for over two years, Ryan Hettler worked closely with the Communication Director redesigning and editing the website. 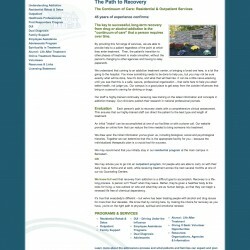 Mockups were created in Photoshop and Fireworks for individual pages and events. 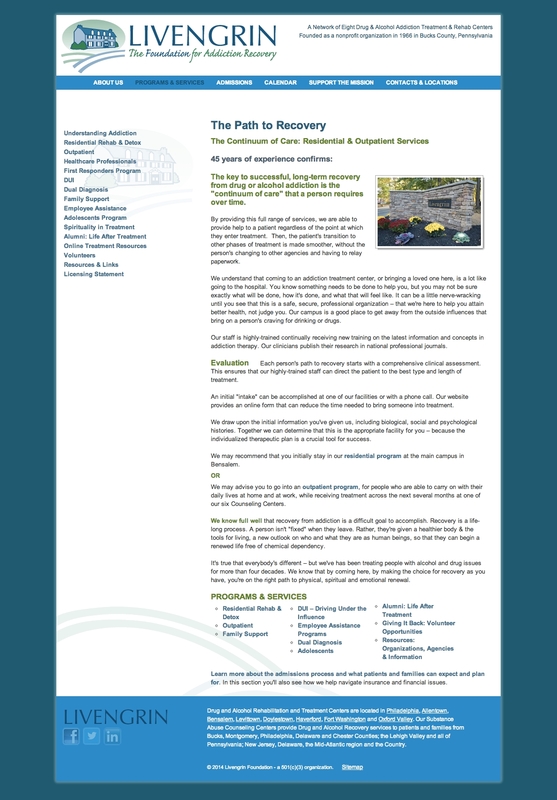 The approved designs were then spliced and assembled together with hand-written code within a test directory. 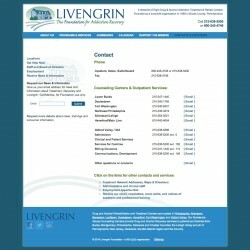 Once the pages were officially approved, they were uploaded to the root directory on the server. 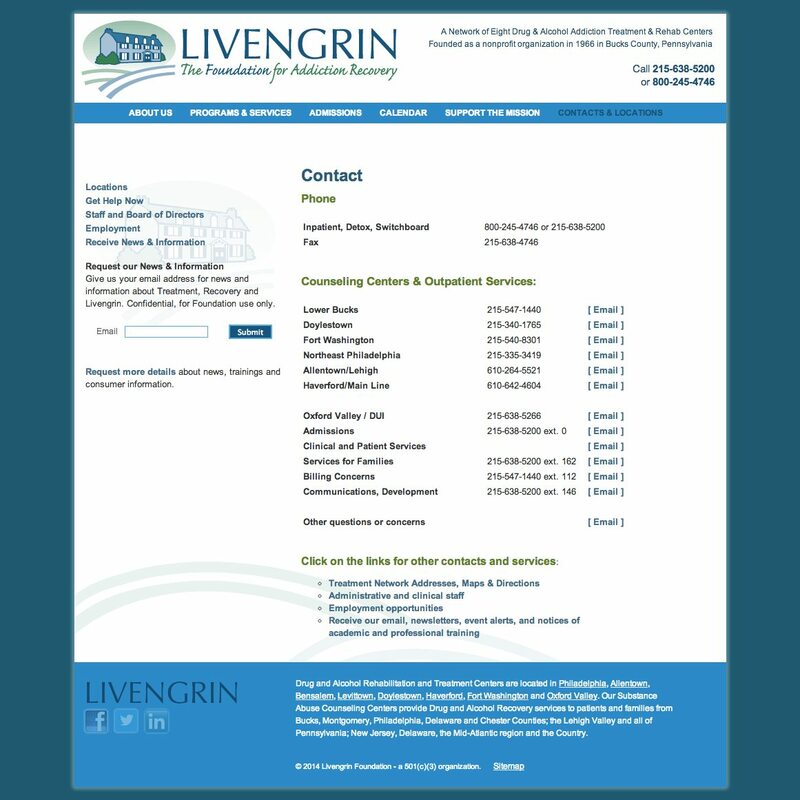 SEO on Livengrin’s site did not just consist of making the titles on all page under 70 characters long and meta descriptions tags in-between 140-160 characters long but aiming the SEO message to family member or friend whose loved one was in need of treatment.